Gawande grew up in Ohio. His parents were immigrants from India and both were doctors. His grandparents stayed in India, and there were few older people in his neighborhood, so he had little experience with aging or death until he met his wife’s grandmother, Alice Hobson. Hobson was seventy-seven and living on her own in Virginia. She was a spirited widow who fixed her own plumbing and volunteered with Meals On Wheels. However, Hobson was losing strength and height steadily each year as her arthritis worsened. Gawande’s father enthusiastically adopted the customs of his new country, but he could not understand the way in which seniors were treated in the US. In India, the elderly were treated with great respect and lived out their lives with family. 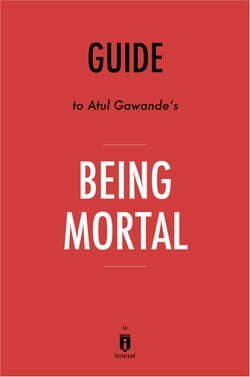 In the United States, Sitaram Gawande, Gawande’s grandfather, likely would have been sent to a nursing home like most of the elderly who cannot handle the basics of daily living by themselves. However, in India, Sitaram Gawande was able to live in his own home and manage his own affairs, with family constantly around him. He died at the age of one hundred and ten when he fell off a bus during a business trip. Until recently, most elderly people stayed with their families. Even as the nuclear family unit became predominant, replacing the multi-generational family unit, people cared for their elderly relatives. Families were large and one child, usually a daughter, would not marry in order to take care of the parents. This has changed in much of the world, where elderly people end up struggling to live alone, like Hobson, rather than living with dignity amid family, like Sitaram Gawande. One cause of this change can be found in the nature of knowledge. When few people lived to be very old, elders were honored. Their store of knowledge was greatly useful. People often portrayed themselves as older to command respect. Modern society’s emphasis on youth is a complete reversal of this attitude. Technological advances are perceived as the territory of the young, and everyone wants to be younger. High-tech job opportunities are all over the world, and young people do not hesitate to leave their parents behind to pursue them.